Then why do enterprises insist on trying to create their own banks (data centers)? We trust our money with banks, financial institutions.. Instead of keeping our money at home in a safe or mattress. Yes some people have safes with valuables but I’m guessing they don’t direct deposit their paycheck to their safe. People also use the bank safety deposit boxes for valuables – usually the most important things like passports, birth certs, etc! Why do we try to make our own data centers? Host our servers and apps? Shouldn’t we trust the banks (cloud providers)? Microsoft, Amazon, Google etc? I think we should. I think if we step back and think about it we wouldn’t be trying to recreate banks when there are banks out there. My guess is back when banks were starting out, maybe the safe makers and maintenance guys didn’t want it to happen? Or maybe they figured out how to make better safes in banks instead of houses. Photo Credit: Myself on a bike ride last week. I am in a lot of meetings. A LOT of meetings. Double, triple, quad booked. I guess when you get to manager or director level somewhere, that is the definition of “busy”, or maybe everyone just wants you in their meeting, or your opinion, or whatever. In the end “Meetings are Toxic” (from 37signals), but really the are sometimes a necessary evil. Anyways, do you really know where you spend all your time? 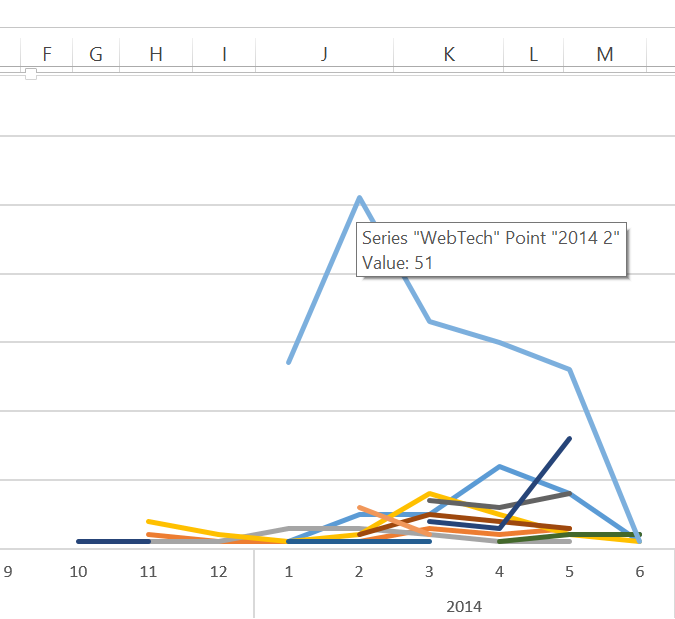 Well you can glean the information pretty easily using Excel and Microsoft Power BI (Power Query specifically). First, the key for me is to “categorize” my meetings. 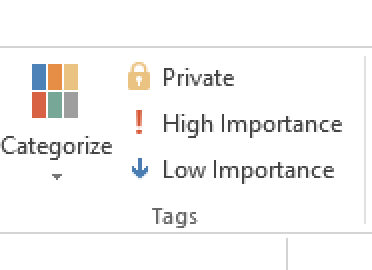 You can create categories in Outlook and then assign them to meetings, you can even color code the categories. Where does Power Query fit in? Well, you can connect to Exchange as a data source. 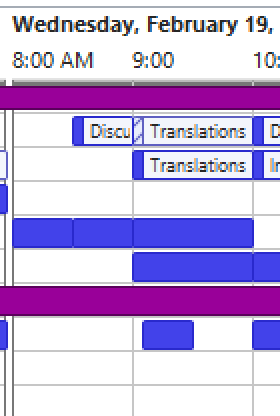 Then you can query your calendar “table”, and pull it into Excel. 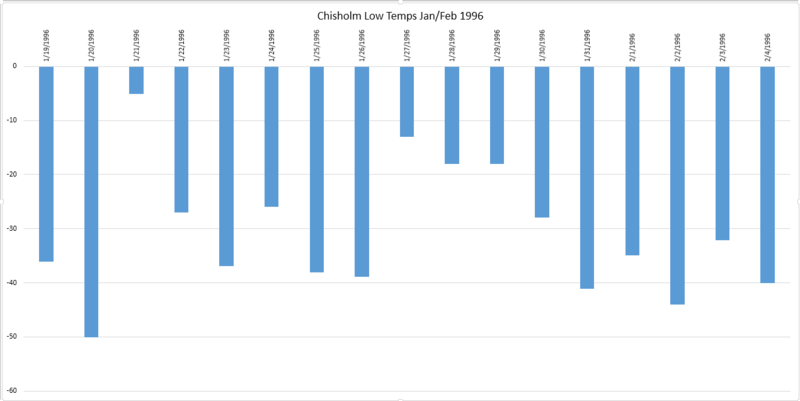 Then, as with any table, you can Pivot it, and pull over category as the row, and look at the count. With some column work in the Power Query query, you can split out the date/time and get Month/Day/Year and create a semi-hierarchy, to see things over time. 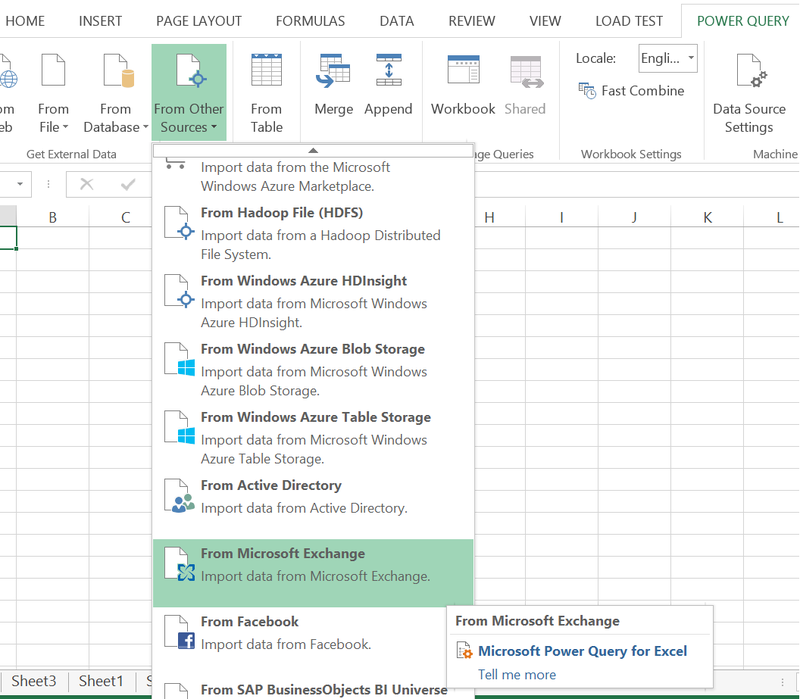 There is so much more you can do with Power BI and Exchange data, your email, calendars, contacts, etc, this is just the tip of the iceberg, and it should only take you 10 minutes or so to get to this result! Now, if I can just figure out how to get out of the meetings! Agree. I hear many people in the industry say that cloud is insecure and it basically sums up to a big pile of FUD. I try to use multiple services. Google Drive, DropBox, Skydrive (now OneDrive) – the personal version – OneDrive for Business, Evernote, Wunderlist, Exchange Tasks, OneNote, etc etc. Why? Well to compare and contrast. What is good, what is bad, what is missing, what is – ubiquitous. A few months ago I was use Evernote heavy (again). It is pretty ubiquitous. Every device, platform, web, etc. But, I really do like Microsoft OneNote. There are pros and cons to both apps, and I really do like how Evernote does tags, but that is a different blog post. OneNote was almost everywhere. iOS, Android, Windows Phone, Windows, Web.. but missing a native Mac OS X app. That changed today. FINALLY a native Mac app for OneNote. There are third party apps that kind of work, but nothing like the real deal. Integrates with OneDrive (personal) via a Microsoft account. I think even bigger news is the OneNote API – allowing for apps and services to integrate with OneNote, very big news indeed. But what is missing? One glaring omission to complete the story, in my opinion, is the lack of any kind of client or integration on Mac OS for OneDrive for Business. There are OneDrive for Business apps for Windows and iOS, and Office Mobile apps which let you access your OneDrive for Business content for iOS, Android and Windows Phone. But glaringly omitted is any kind of Mac OS X app. Now, I was secretly hoping with the release of OneNote for Mac, that it would have integration with Office 365 or On-premises SharePoint out of the box, which would solve part of the problem, but I don’t see that integration, or I can’t find it. Why do we need OneDrive for Business for Mac? Because, most organizations have a mix of client operating systems. These orgs want to use things like SharePoint, or Office 365 – OneDrive for Business – to let users save and share documents – internally and externally – replacing consumer (and faux business) apps like Dropbox and Google Drive, even OneDrive personal edition. But without a Mac client, it is VERY hard to get complete buy in to use the OneDrive tools. Yes, Mac users can use the web, but – they don’t like being treated like 2nd class citizens, and I don’t blame them. I use both Windows and Mac, and it would be awesome to be able to go between and use the same tools and services. Hopefully, someday. Want to be transparent in corporate America? Make your calendar public in your workplace. Now, forget for a minute the top two rows. The first one is mine, and the second is one of my employees. The others… those are “everyone else”. One way you can make scheduling meetings a little easier, as well as just be more transparent, is to share more information about your calendar free/busy with your colleagues. Now, I will detail how to do this in Outlook 2013 on Windows and Outlook 2011 on Mac but for previous versions it is pretty similar steps. There is also a way to do this with Google Apps calendar but I am not going to delve into that here (although I have noticed more and more orgs using Google Apps, the majority use Exchange). There are few things I do, which you may find useful. My calendar item Subject and Location are open to everyone in my organization to view. The full details of all meetings are completely open to all my direct reports and everyone below them. I also do the same for some of my key peers as well as my boss, they can see everything. Now I am sure you are saying “But Steve, what about those few appointments or meetings I want to keep private?” – Well, Microsoft has thought of everything. 3. My private appointments, I mark as private. So, how do you do all this? Well it is pretty easy. As you can see, I have “Free/Busy time, subject, location” turned on for the “Default” permissions. For all the people listed, the only difference is they have “Full Details”, which means they can open up a meeting on my calendar and see whatever someone wrote or attached, agenda, etc. Now, to mark a specific calendar item private, just open it, and click the “Private” button. Done. Now when someone adds you to an appointment when they are trying to schedule a meeting, they will see the subject and location. They could ask you “could you move this, or that” or sometimes they will even know what is important by the location/subject and know you could move it or skip it or whatever. Very useful. Another handy item might be that someone is scheduling you and they see a meeting about a given topic. They might think they should be included and ask you about it, or they might have a colleague or employee they think should be there and they will want to make sure that they are represented, etc. Now this will make 99% of your co-workers uneasy because they have always been private or hidden – they don’t want anyone knowing what they are doing, etc. I say phooey and work in the open. 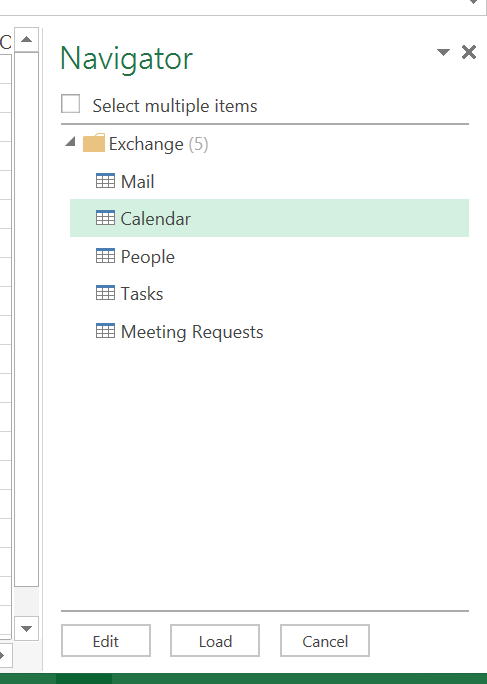 My opinion is that in an organization, the setting of sharing the location and subject should be set as the default in the Exchange server, not by each employee. We are all the same team, we should have nothing to hide. And for those doctor or dentist appointments, or seldom top secret meetings, mark it private. It should be the exception though, not the rule. You can also share your calendar specifically with a coworker and request them to share it back, this is what I started with years ago, but then after a while just opened mine up per the settings above. So tell me, if you haven’t already shared your calendar with your teammates and coworkers, why not? Trust me, the world will not end, nor will you lose some magical edge you think you have by keeping your calendar private. In the end, opening it up will help your colleagues and show a sense of openness and transparency. Try it! I use many different devices. iOS, Android, Windows. iPad, Chromebook, Macbook, Surface, etc. I like to compare and contrast differences between systems and devices.. This post is about how the Microsoft Surface and Windows 8.1 works for parents and kids. Why? Well, it isn’t so much the Surface and Windows 8.1, but Microsoft Family Safety. This has been around in Windows for a while, through the “Live Essentials” and what have you, but now it is built into the OS. Since previously I didn’t have kids, I had no use for it. Now with younger kids that want to play on my devices, I tried it. If she tries to play a game or install something it won’t let her. It asks for password, it even asks “is your parent here now” so I can just put in the password. Pretty awesome. Other systems and devices have nothing like this that I have seen, nothing built in anyways. With an iPad (or iOS) you really don’t have this control. Maybe if they have their own device, but if they share your’s you are out of luck since there are no accounts in iOS. I have no problems now just giving her the Surface to play with – and I can track usage and set limits, pretty awesome. If you are a parent and have a Windows 8 or 8.1 device, check out the children accounts and family safety. You don’t even have to set up an email address for your kids, it just works as a local account if you want. Score one for Microsoft!